So after my somewhat mixed experience in London some time back, where I got to experience the dire hotel called Tophams and the expensive side to London, I also experienced the cheaper side to London. Alas, I was not satisfied. 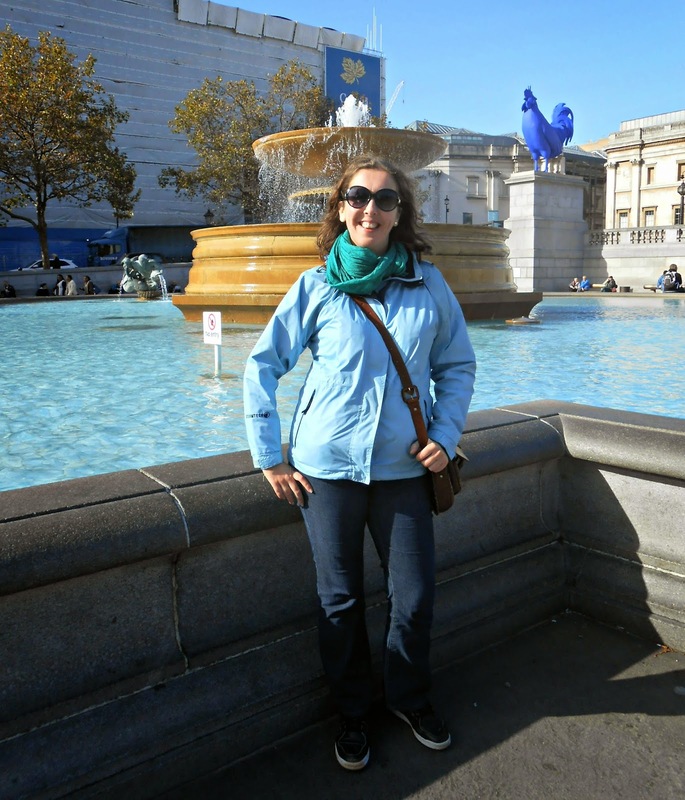 I was determined to experience a fun side to London and to come home with a smile on my face. 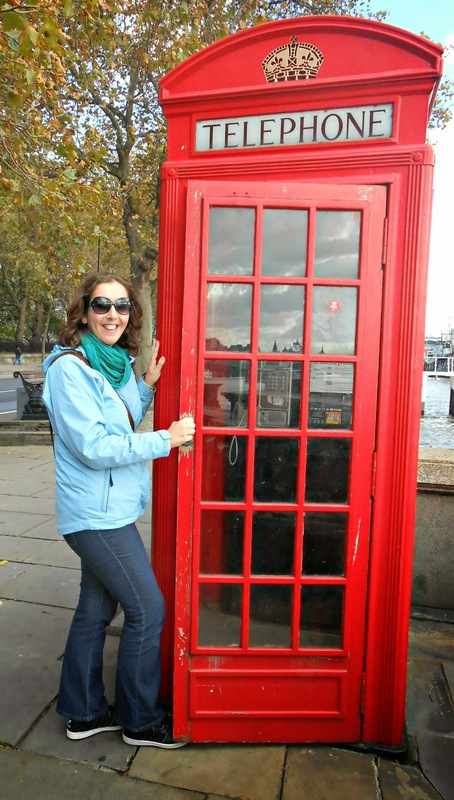 My recent day trip proved that you can enjoy London, even on a day trip and on a budget. 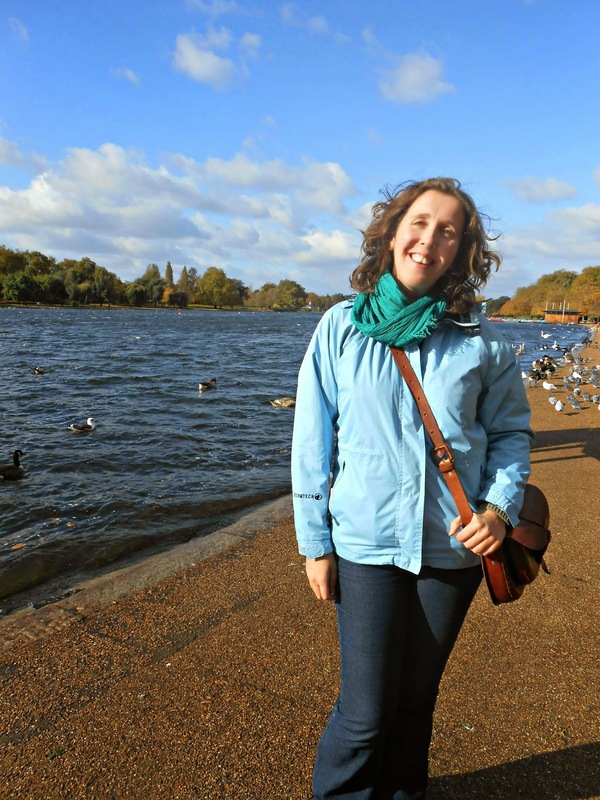 Day trips to London needn't be stressful; you don't need to cram everything into one day, especially if you are not a walker like I am, but if you don't mind walking and getting tired feet you can fit in a lot, but in a relaxed manner in 1 day. on sales in the USA, so my day trip had a dual purpose - to organise my tax in the form of a United States ITIN (Individual Tax Identification Number), which will allow me to recover this tax, and to enjoy the day. We had an extremely early coach journey from Gloucester travelling by National Express, leaving our home at 3.45 am, arriving in London a little after 7.30 am. Bargain price at just over £20 for 2 of us and if I had remembered, I could have had a discount on top of that with my student card. It was a windy rainy day to begin with, but we didn't let that stop us. As the US Embassy did not open until 9 am we took a slow route to the Embassy, which is situated in Grosvenor Square, in the Mayfair area of London and we just spent extra time waiting in doorways until the rain passed. 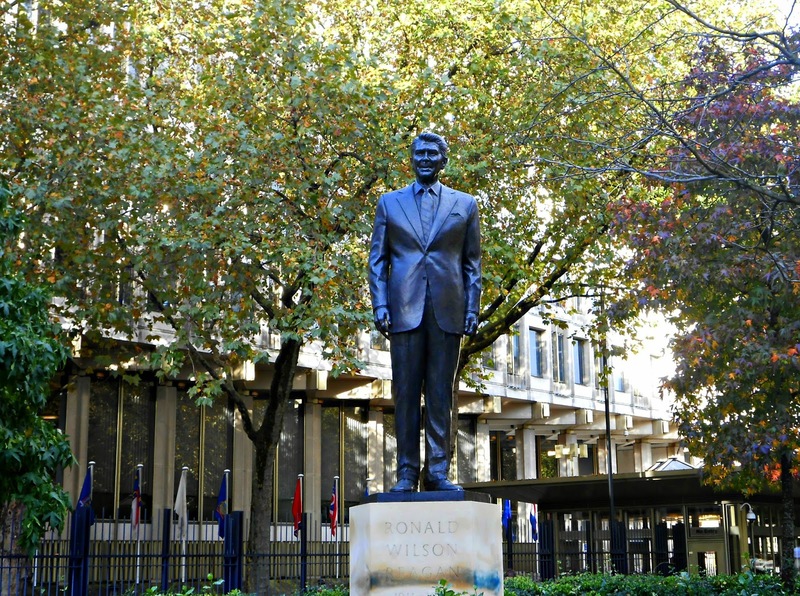 This worked out perfectly because by the time we arrived at the Embassy after dropping our bags into a luggage hold pharmacy nearby, we arrived at the Embassy at 8.45am. We had a short wait and did our business within 20 minutes, so we had a lot of time to enjoy London as our coach did not leave until 6.30 pm for our return trip. Having a tight budget again (for more budgeting tips when visiting London check out my blog post LONDON - On A Shoestring : Good times on a budget HERE), we chose not to opt for the London Underground (the Tube), as we wanted to be able to stop at places and have coffee and bite to eat. As the rain had passed we were left with a primarily beautifully sunny and very blustery day, but the wind kept us awake, for which we were very appreciative. After leaving the Embassy we had a sandwich that we had made at home, in the park, as breakfast-time felt more like lunch-time to our early bodyclocks. And we took a route I had pre-planned but for some amazing reason fell into great spontaneity. We walked towards Hyde Park and had a lovely refreshing walk in the wind, watching the Autumn leaves float in the sky, eventually ending up at the lake in Hyde Park. 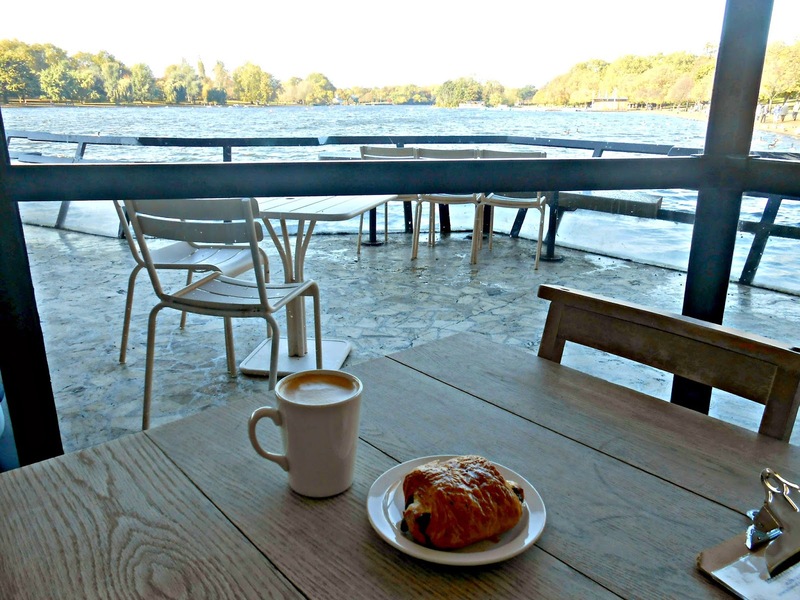 I noticed a little cafe called the Serpentine Bar and Kitchen overlooking the lake and I thought what a lovely place to sit. I was feeling a little nauseous after a bouncy coach ride on National Express (really prefer older style buses as the new ones can make me travel sick). We arrived for their breakfast menu and although it was not mega cheap, it was okay by London standards. I opted for a lemon and ginger pot of herbal tea to soothe my stomach and Mike, my travel companion, had a cafe latte. I was still hungry, probably because of funny tummy so I indulged in a chocolate croissant, which was okay but the view was what impressed me the most. I realise that when I travel, even in cities, I need to find nature, so our travels had less of the hustle and bustle of London and more of the natural side to London and culture. 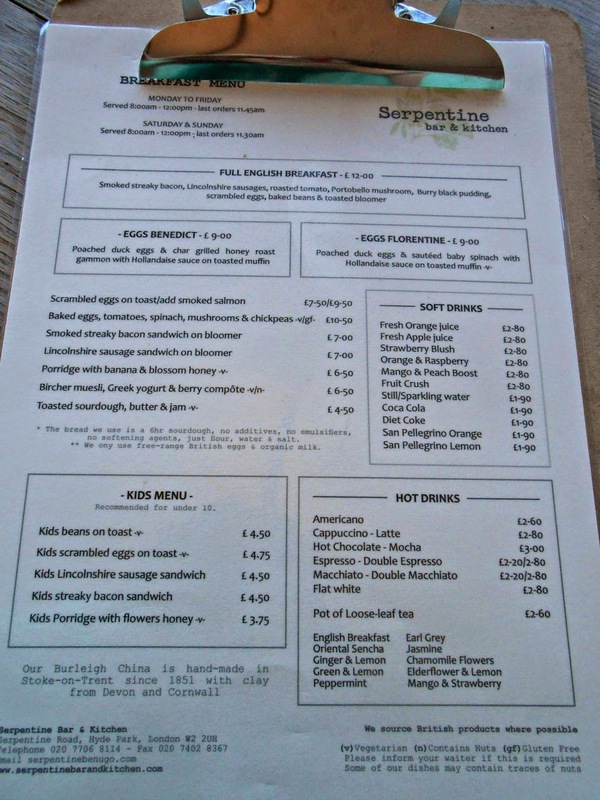 The Serpentine has a great shabby chic decor and played great music, reminiscent of my travels around Australia actually. We had a great view of the lake and birds and settled down for a short while to absorb the atmosphere. It had a relaxed atmosphere and the staff were really friendly. I even got to talk to the toilet attendant and she was so friendly and kept the toilets immaculate (I know I do have the oddest conversations - grin). Coming to London in the Autumn is so much nicer when it's a little cooler. If I were to visit again it would be Autumn or Spring because it's not as hectic and you're not wrestling for tables everywhere. The Serpentine was a great little stop on our way to St James Park and a wander by Buckingham Palace. After we left the 'Serpentine Bar and Kitchen' we were blessed with a Royal Procession. 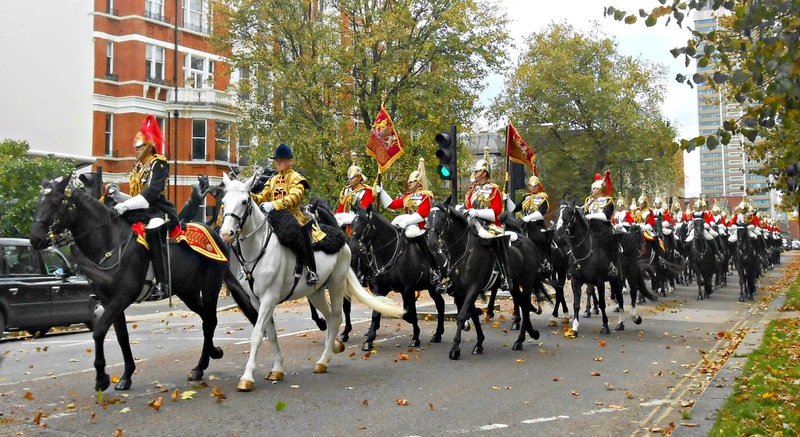 We had no clue that the President of Singapore and his wife were arriving for a State Visit on that very day, and so as we wandered beyond Hyde Park, a procession of Royal Guards on beautiful horses rode past. We felt very fortunate to witness this. 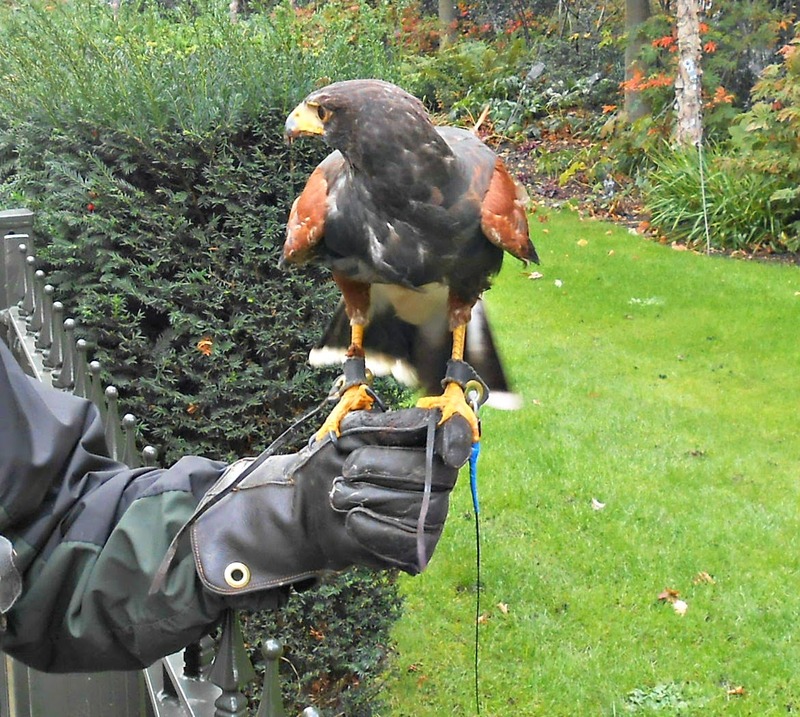 This was followed by seeing a man with a hawk.. the randomness of our visit was so much fun! The randomness of seeing a hawk outside Hyde Park.. my day just got better and better with all the wildlife and nature I saw. 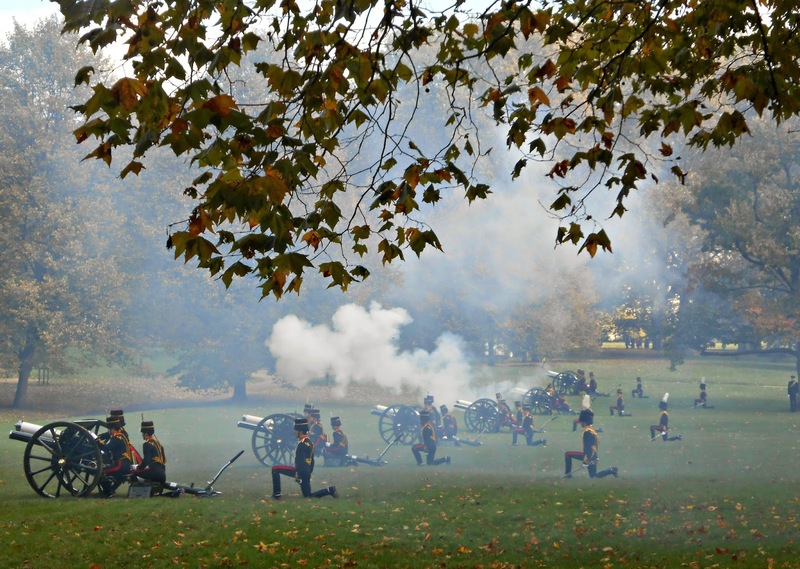 After discovering what was going on, we wandered further into Hyde Park where we saw a 41 gun salute in honour of the visiting President. I had never seen one before, and boy, did it shake me and wake me up LOL! 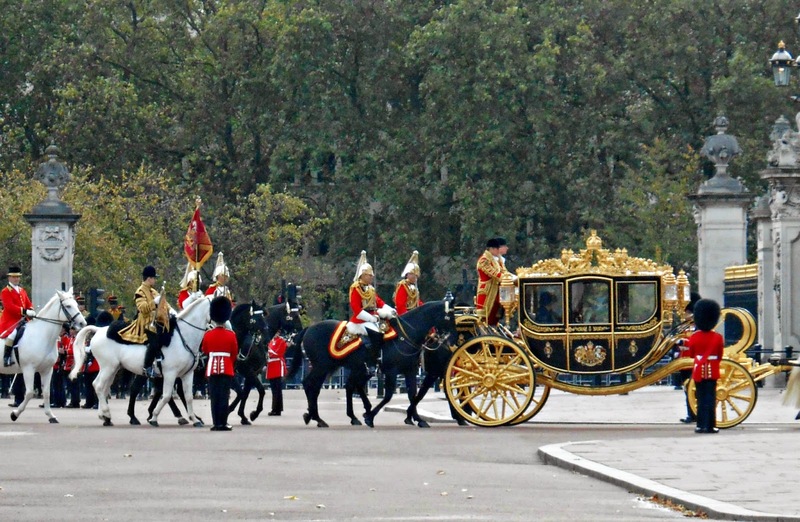 My planned journey took us through all the right places at the right times and when we arrived at Buckingham Palace the Royal Guards were following the State Carriages, which were carrying the Royals and their guests into the Palace. 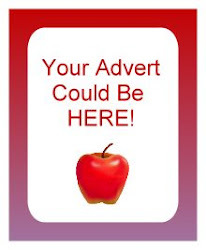 Exciting and totally unexpected for us. So, so far, the only cost had been our travel and a snack in the Serpentine. We had taken biscuits and crisps with us to munch on our journey around London too. 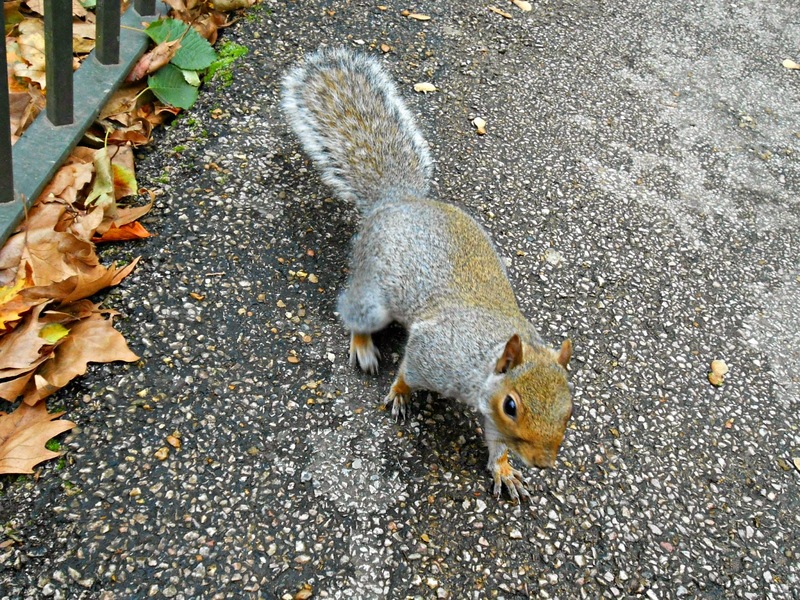 I had the joy of seeing trees, nature, water, hawks, horses and also a very inquisitive squirrel. After all the Royal excitement we walked back along the Mall, a lovely tree lined walk, to Trafalgar Square. The last time I was at Trafalgar Square it was around the time of the Olympics and it was cordoned off for people to watch big screen TV's so I never got to simply relax there. We sat a while and enjoyed our munchies in the sun and rested our tired feet. 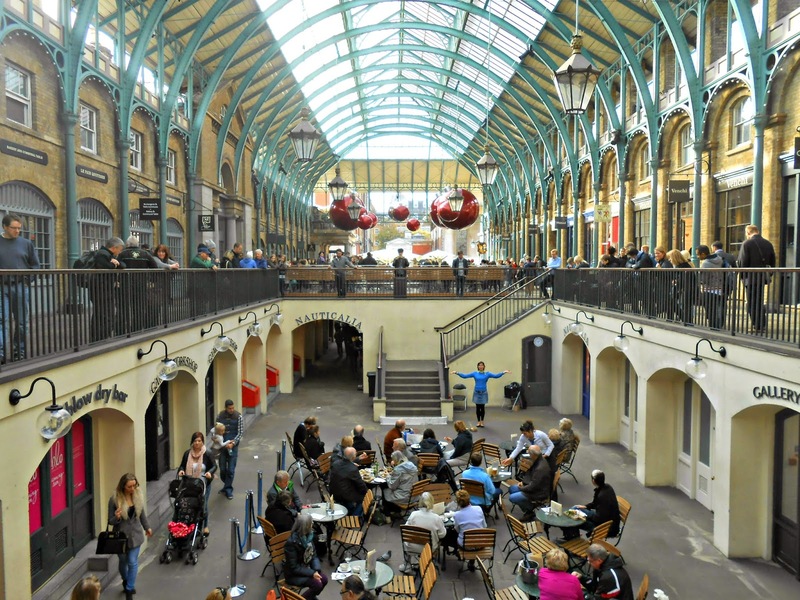 I wanted to see Covent Garden again, because on my last trip here I had severely blistered feet and was hardly able to walk anywhere because I was in agony. We had a lovely wander around the area, watched a lady sing opera and saw some beautiful crafts on their indoor market, really high quality stalls. After a lovely walk around Covent Garden, we took a walk down to the river where we walked along the Embankment until we reached the area where we could cross on the Millennium footbridge, I love this bridge, mainly because I'm a Harry Potter fan and a great scene was filmed on that bridge. After a little wander around the Tate Modern, which did not have the nice free art exhibitions that were there the last time we visited, but is still worth a visit, we wandered along Bankside, simply enjoying the views walking to our next stop. There are some fun ideas for food and drink in London. This bus caught my attention. 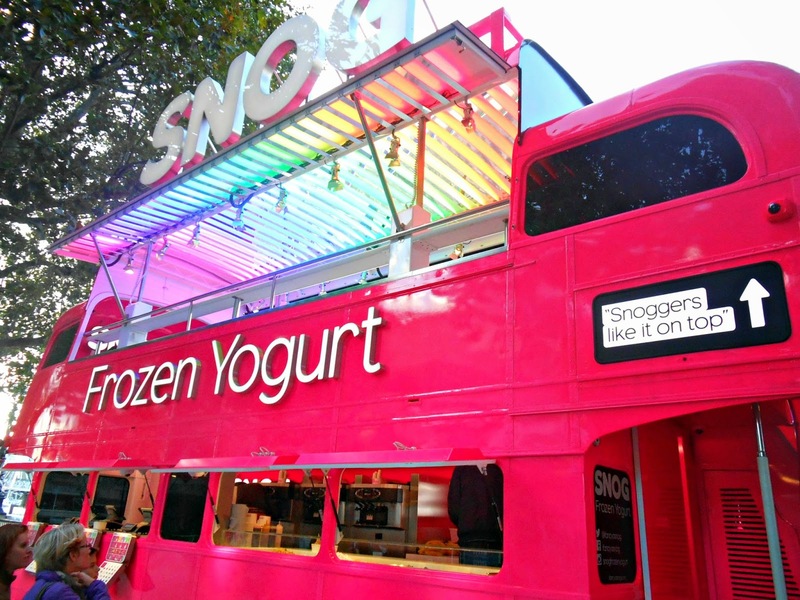 It's the latest mobile location for Snog Frozen Yogurt, parked on Queen's Walk, near Waterloo Bridge, until November 2nd. After a long walk along the river we made our way back to Trafalgar Square where we had booked a table at Garfunkels. 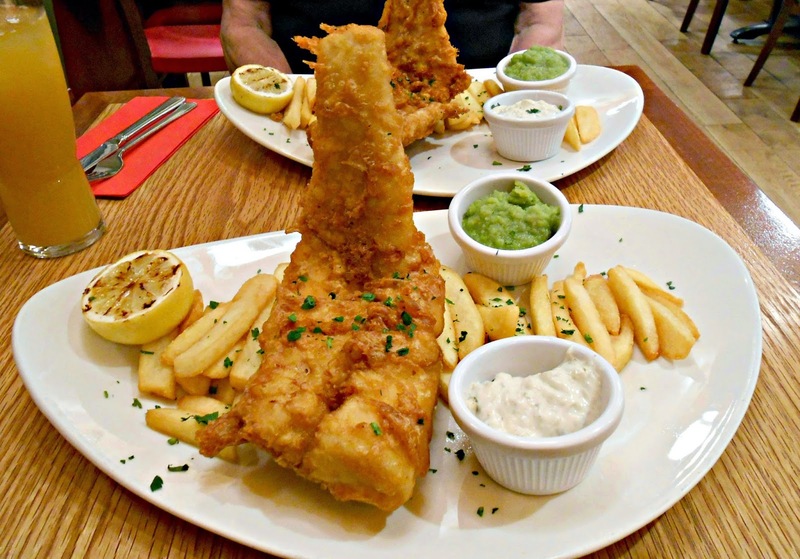 It was my first time at Garfunkels and was mainly pulled in by the photos of fish and chips on their website and also it's one of the few restaurants in London that do student discounts. It was not posh grub but it was satisfying and a warm environment out of the growing colder windy weather as we neared the end of our trip. We both enjoyed a lovely curly looking fish and chips with 2 drinks and with my student discount came to under £25 (minus tip). This is pretty reasonable for London. As we left the restaurant we saw this bus; another fun way to get around London if you want a trip with the girlies. 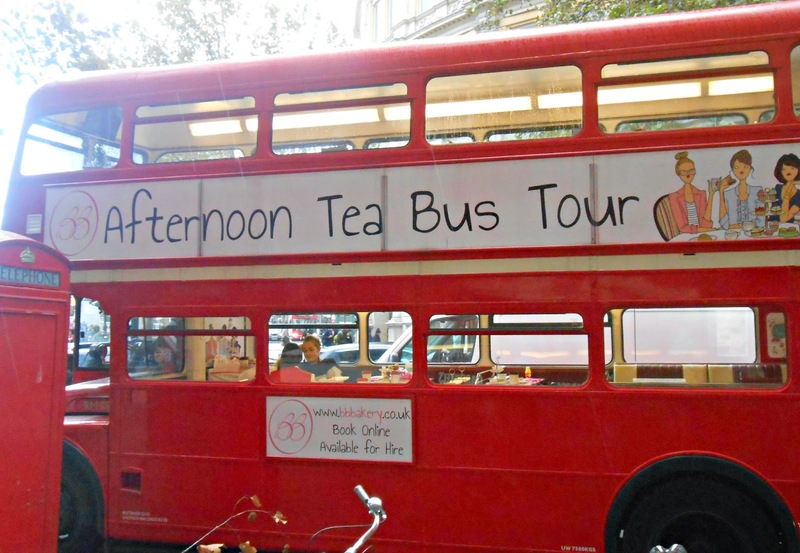 An Afternoon Tea Bus Tour looks like a lovely girly treat. This made me smile. All in all, we had walked for about 9 hours, yes, a long time, but if you are fit enough you can do this without paying Tube costs. Although the Tube is not too expensive for central London, we simply had a lot of time to use up so we wanted to make the most of it. I think we spent around £34 in total on our mid morning snack and our dinner. We were happily full for our 6.30 pm coach back home and had some nibbles left for the journey. If you plan to do a similar day trip and indulge in nature, culture and a more relaxing day, I highly recommend walking and taking lots of photos. Stop now and again to sit down or to have a drink in a cafe and you will have a great time so long as you don't plan too many things into one day. Consider what you'd like to see and do, and whittle your list down, so you can leisurely stroll and take in the sights. Thanks @Carol Baker it was a great day out and surprising how much we fitted into the day but in a relaxed way.